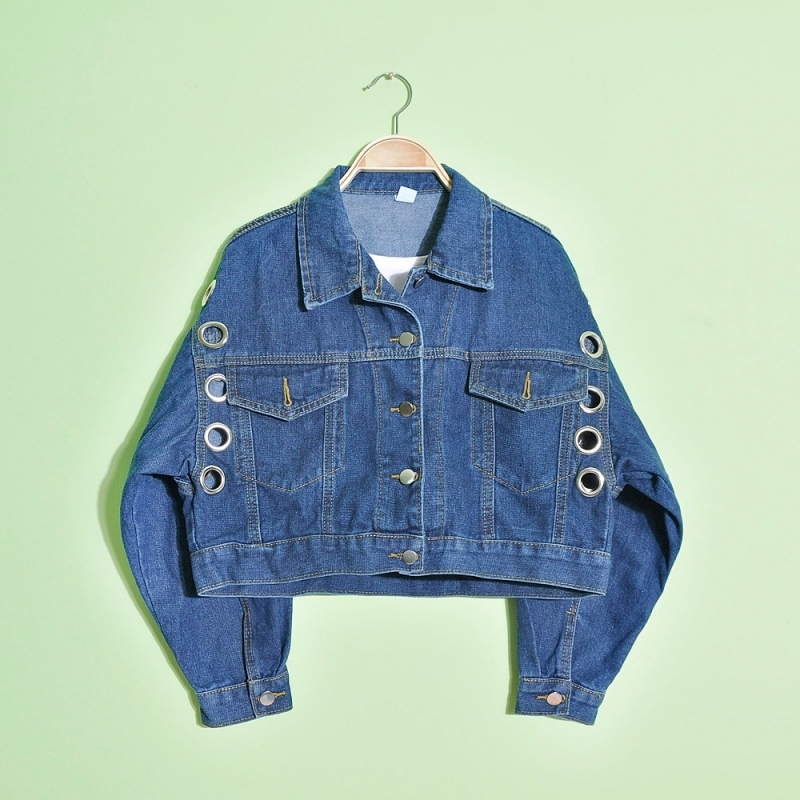 Wholesale lady's light blue embroidered denim jeans jacket. Description: It is in stock. You can take any quantity as you need. Or you can place custom order. We make according to your requirements.